Last weekend the team of Lost in Sky took part in the conference Game Factory 2017. There were different master classes and you could get an opportunity to learn about some projects including our game. You can read the report on the conference in details over here. 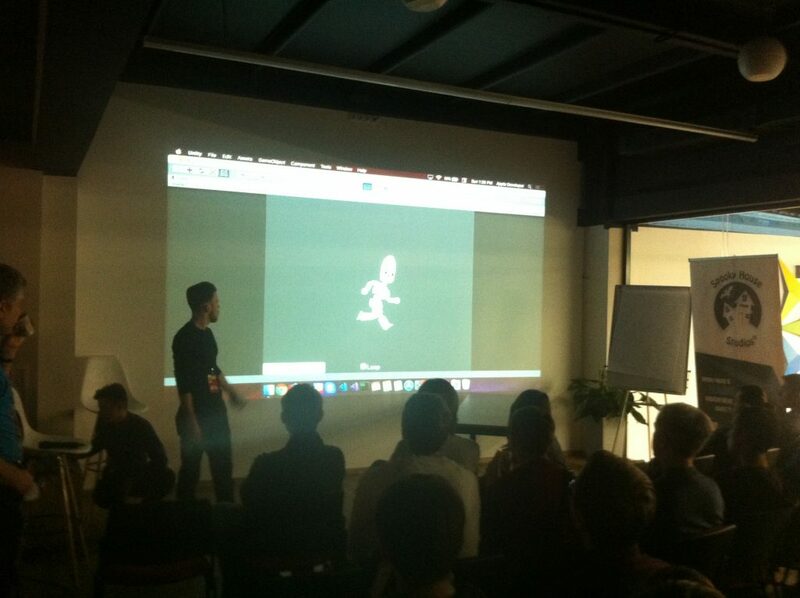 During the master classes, our guys delivered a speech on the topic “Bring your game to life with Spine and Unity”. Their performance dealt with 2D skeletal animation created in Spine and all its advantages which can be used in Unity. However, not all our readers managed to be presented at the conference, that is why we will try to compensate for that missed opportunity and provide you with some excerpt from the presentation. Next, here are a little bit of Egor Bashinsky about the basic methods and tools to create an animation. Animation blending — is a tool used to smoothly navigate between animations on the same skeleton. The GIF shows the way we use it to make the animation more realistic. 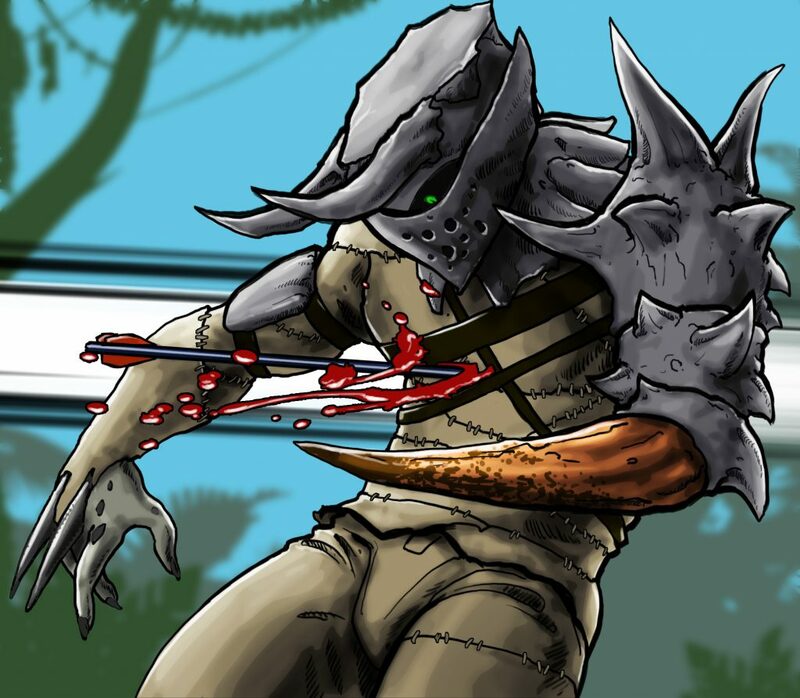 Skins & attachments — the skins allow us to reuse skeletons and animations, significantly reducing the effort needed to create a variety of characters with a similar set of bones and animations. Attachment — each skin can be identified with slots that can be reused to customize the characters. In this GIF, for example, this is a weapon slot. Dynamic batching — in this GIF, we use the advantage provided by Unity. Having met the certain conditions, the characters are grouped and drawn on the screen in 1 attempt. In a particular case, there about fifty characters in the same group, what allows to save time for more complex objects. IK — indirect kinematics (IK) is a good thing to give life to characters. To make a ghost alive, it’s enough to ask an animator to add the necessary revolve and position restrictions, which allows for drawing attention to the game objects in Unity. 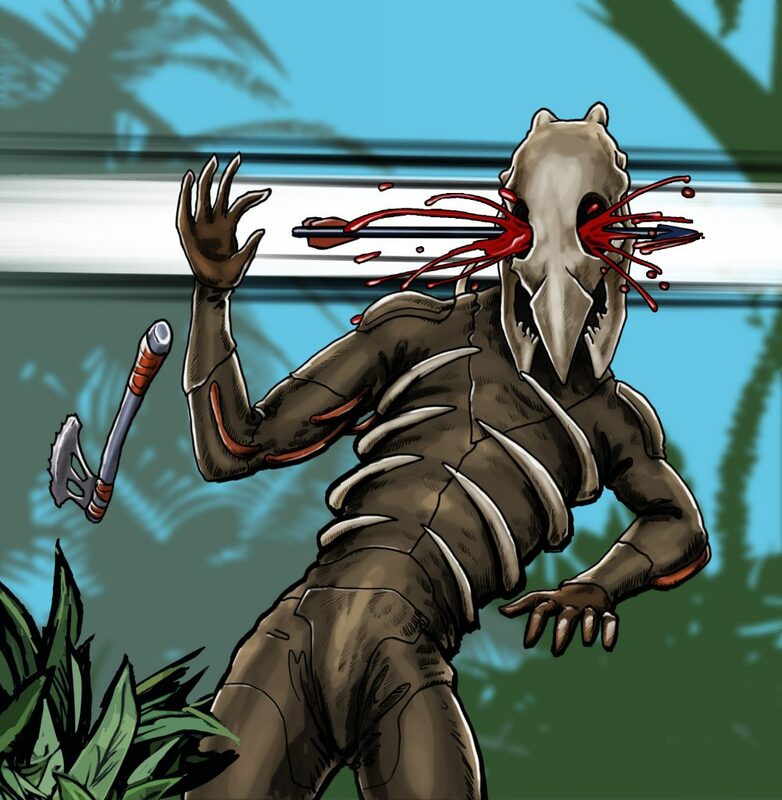 As it has become a kind of tradition, at the end of the weekly report we publish some new frames from a comic book based on the game. Today’s arts are dedicated to the game scenes, where Eileen shows two different degrees of accuracy for her shots. The first option is considered to be a “warning” one to some extend. A strong hit in the body stops and demoralizes the enemy. And if his armor is not thick enough … well, it’s his fault. The second option leaves no chance. When there’s no time to explain and you don’t want to spoil your opponent’s clothes in case you need it. That is all for today, see you next week!